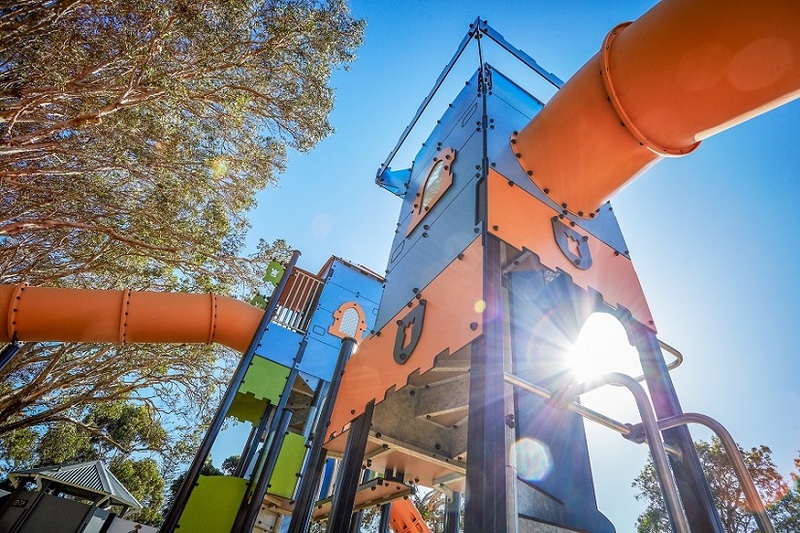 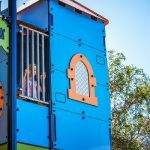 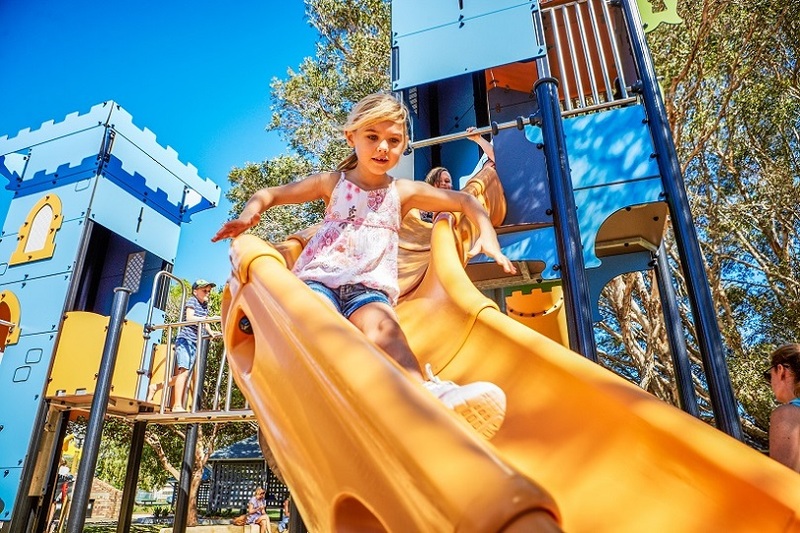 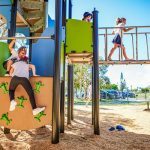 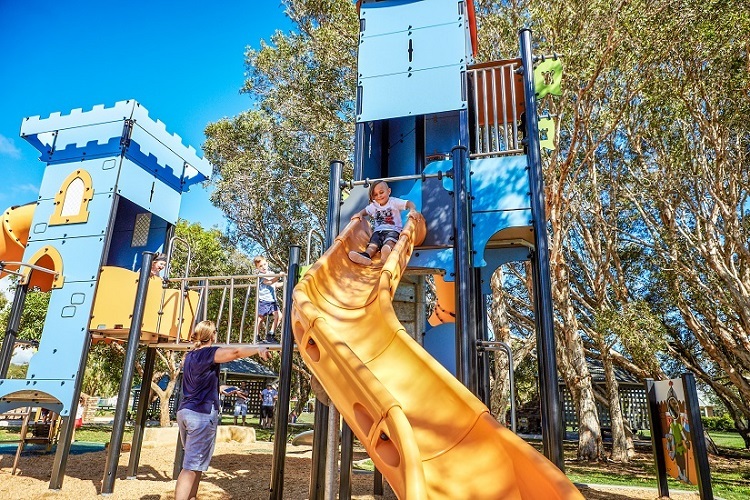 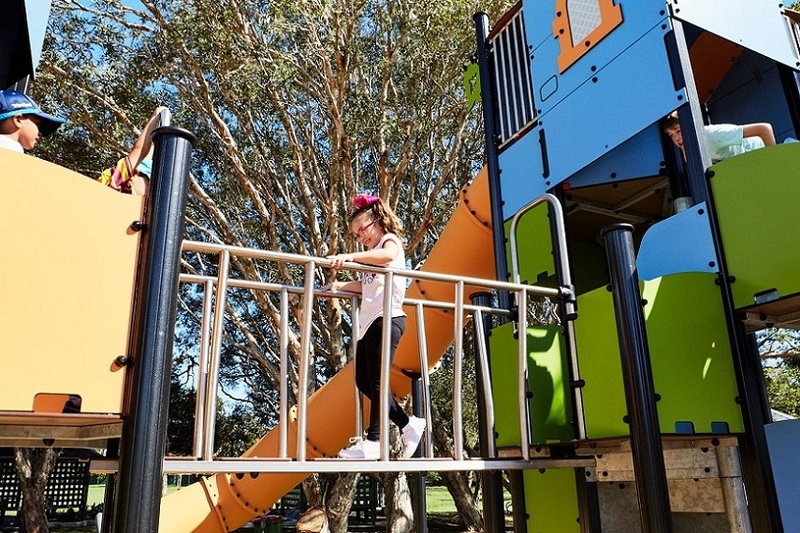 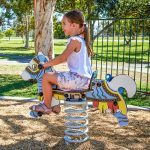 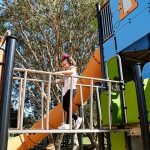 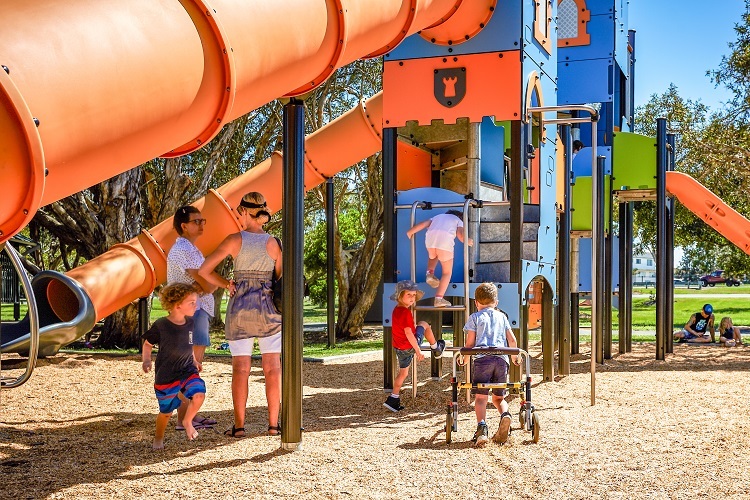 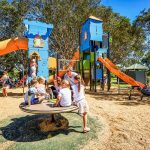 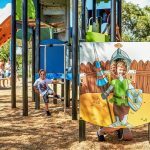 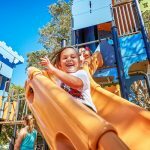 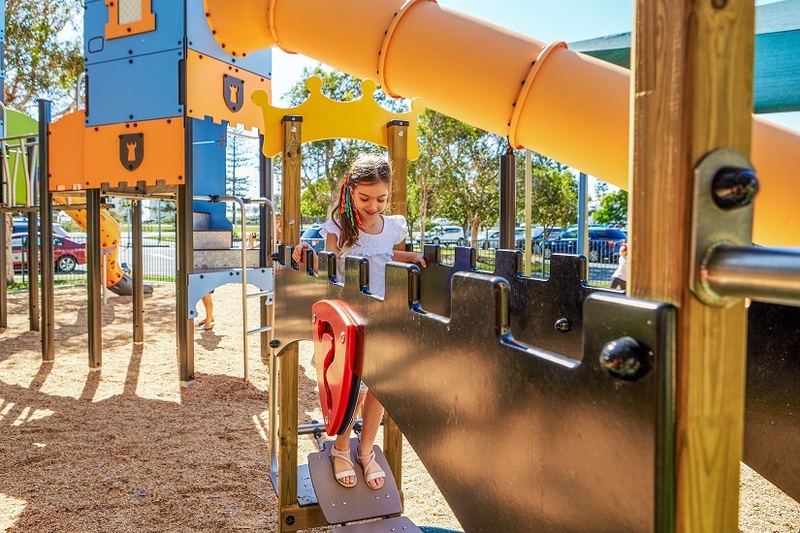 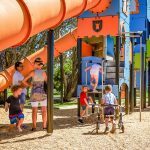 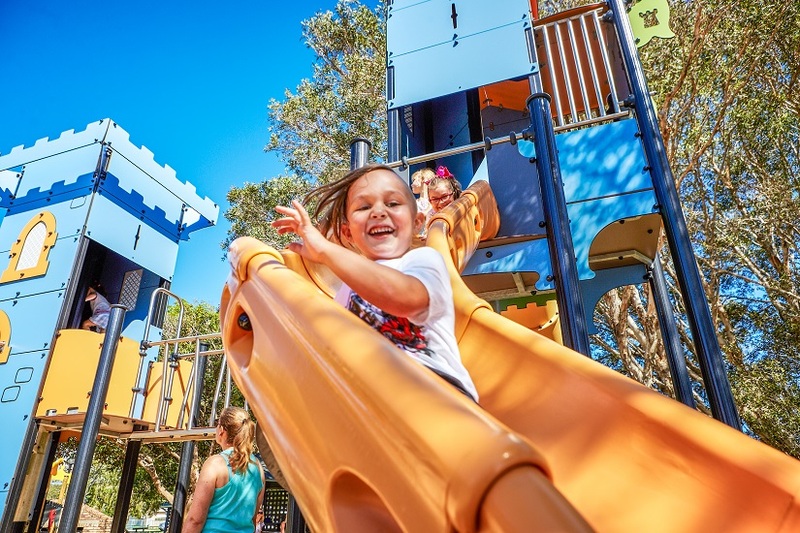 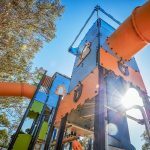 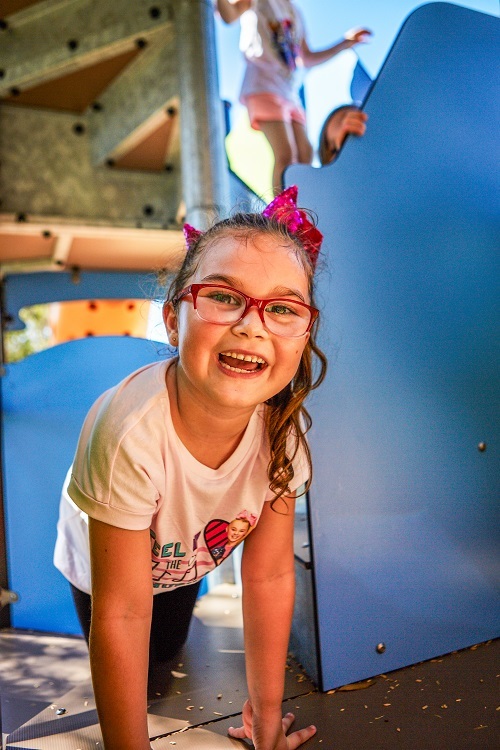 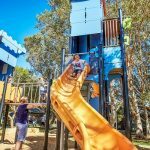 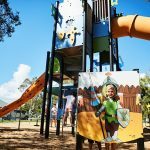 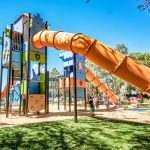 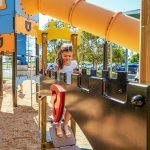 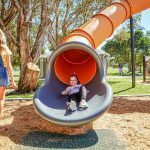 The castle themed playground at Tugun Park with its Double Medieval Tower conjures up a wonderful imaginary land where knights and princesses play the key roles. 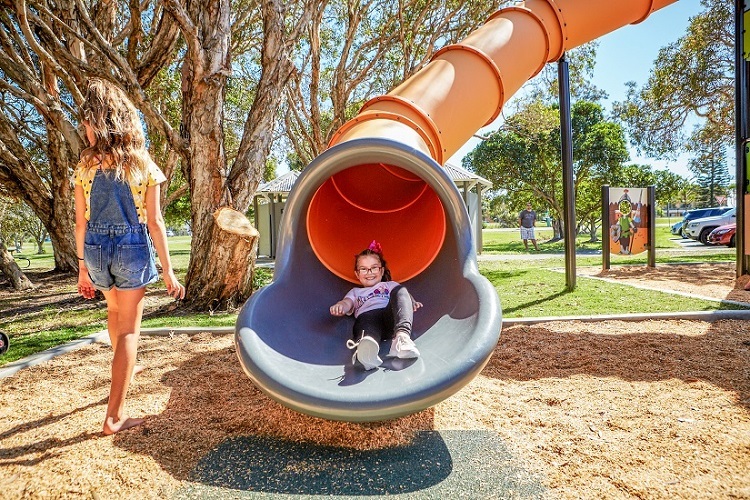 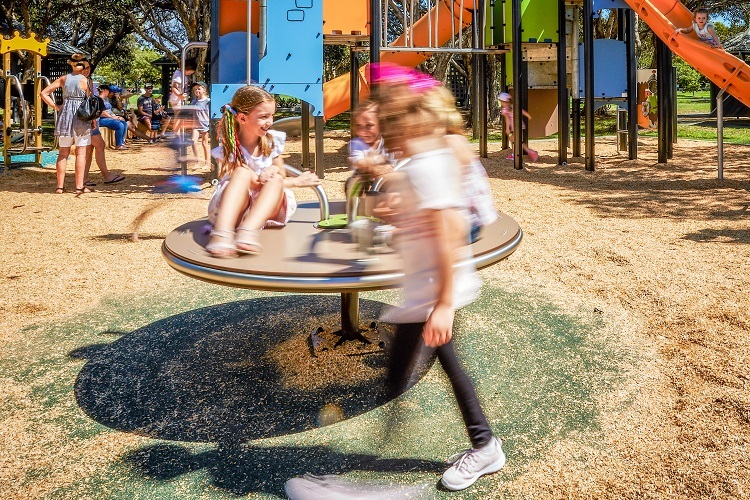 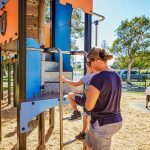 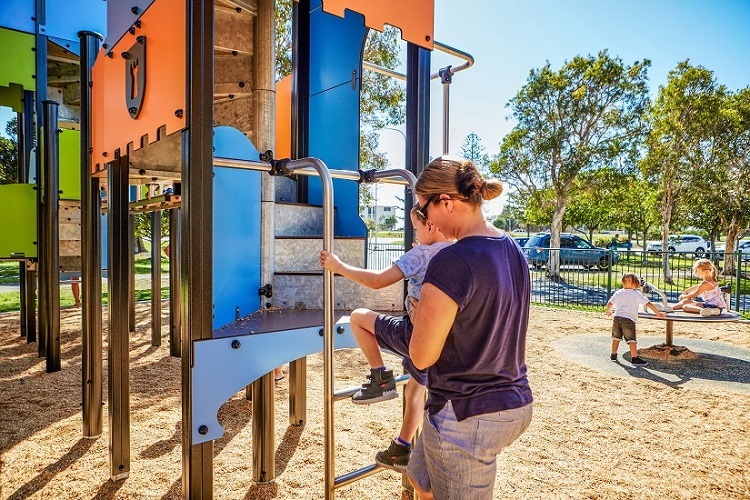 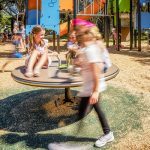 Proludic was engaged by the City of Gold Coast to design and construct the exciting new playground at Tugun Park. 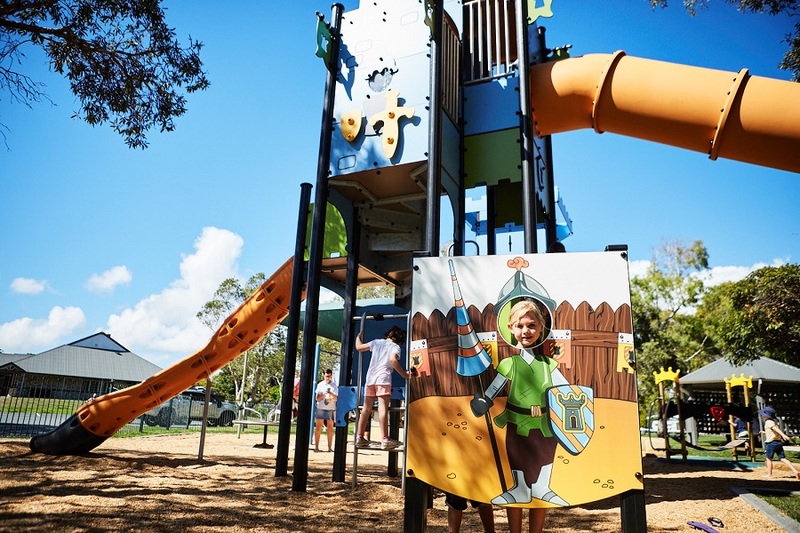 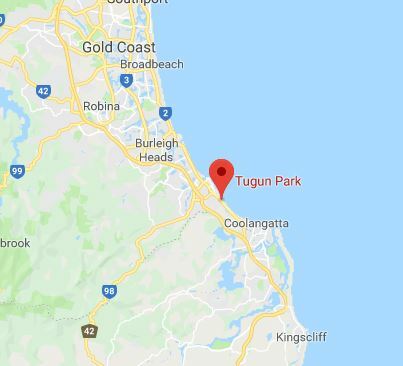 The design brief required the inclusion of a castle theme in reference to ‘The Land of Legend’ , a former Tugun tourist attraction still remembered fondly by the local community. 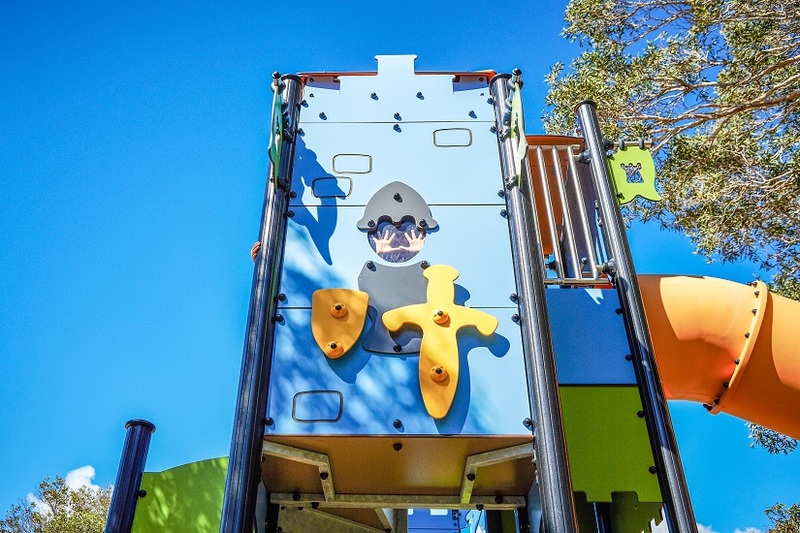 The standout feature of the playground is the Proludic Double Medieval Tower (custom J4702-P) which fires the imagination and inspires stories. 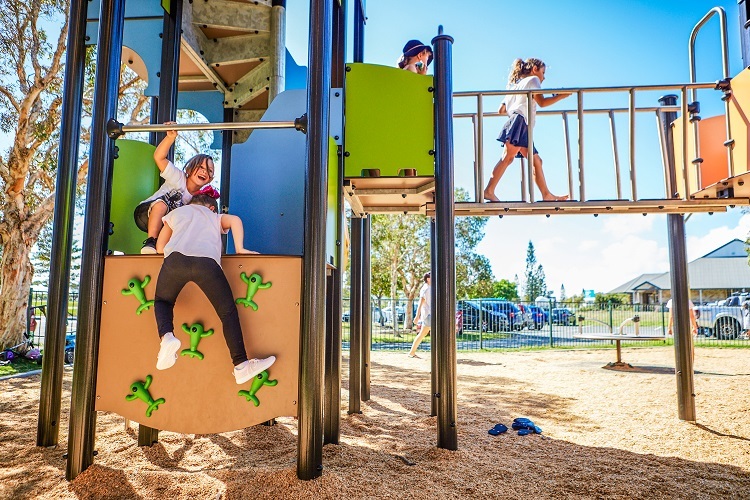 It can be used by large numbers of children of all ages and provides a place of contact between generations where children and carers can share the same play activities. 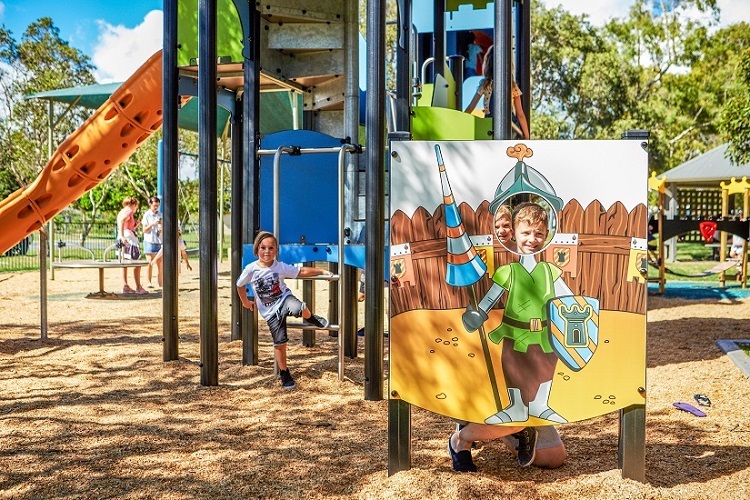 Proludic included other key design elements to highlight the castle theme including a “Drawbridge” (J2605) crossing over the playground “moat” into the castle courtyard area. 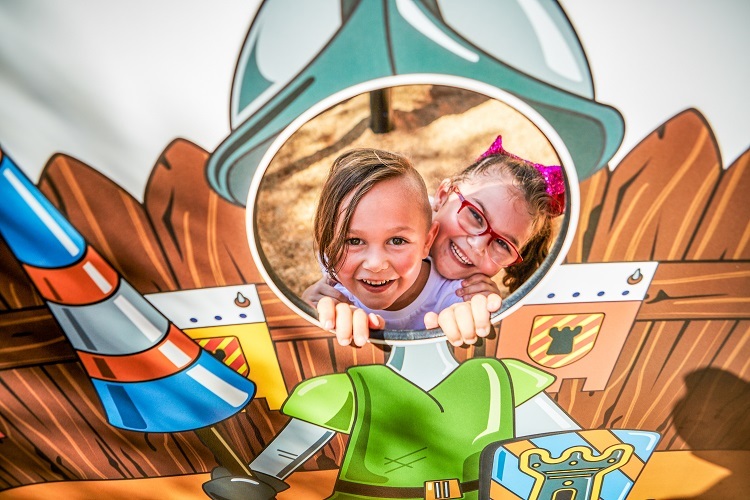 A “Knight” (J3417) stands guard at the castle entrance whilst his “Horse” (J819-GM) is tethered nearby to be ready at a moments notice should the castle come under siege! 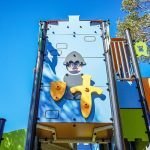 Numerous design effects such as battlements, banners, arrow slits, pointed arches, shields and bridges adorn the Proludic Double Medieval Tower and inspire imaginative play. 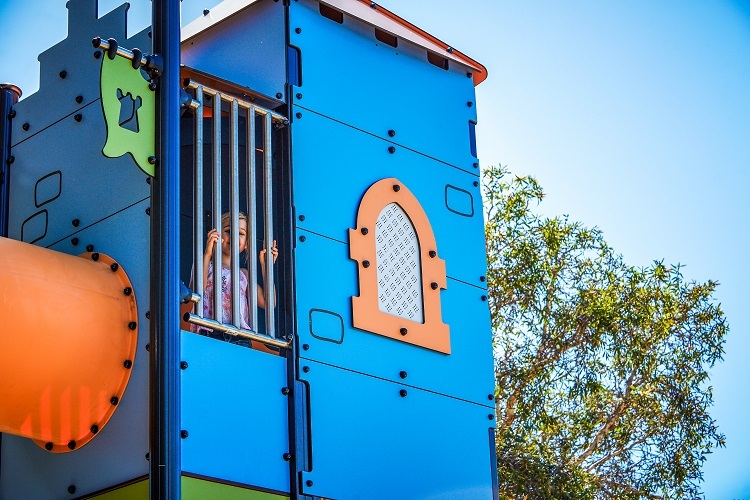 From the top of the towers children can “survey their kingdom” and enjoy a fine vantage point with views over the park. 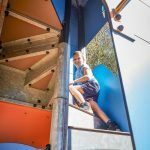 The design of the structure allows children to self-manage the level of challenge they are comfortable with whilst providing multiple opportunities for further adventure as they have fun and develop their climbing skills and confidence. 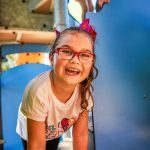 For children that need some extra support there is plenty of room for a carer to assist. 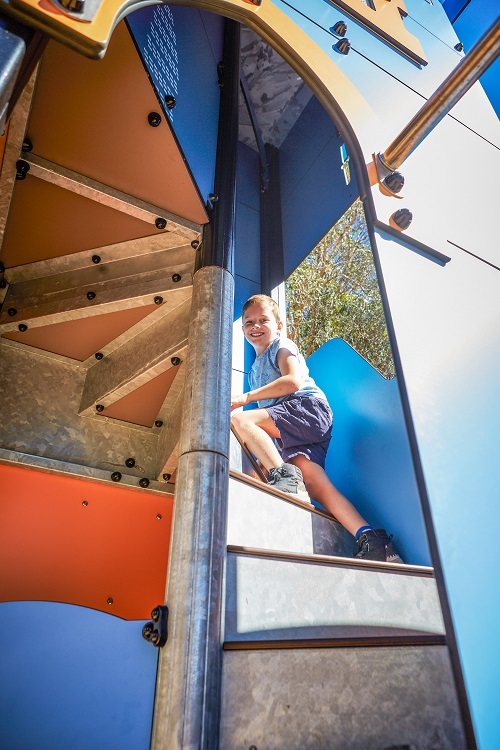 On reaching the top of the towers the children are rewarded with the thrill of three different slides! 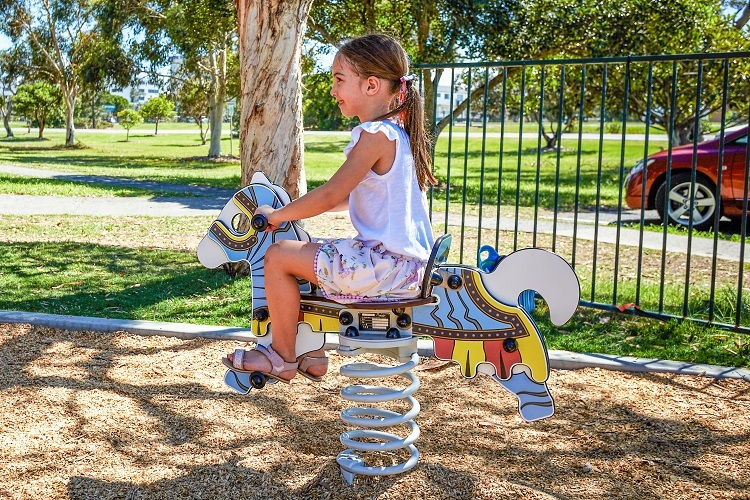 Proludic’s rotating Speed Gyro (J2400) enables children to enjoy the fun and excitement of spinning together with friends. 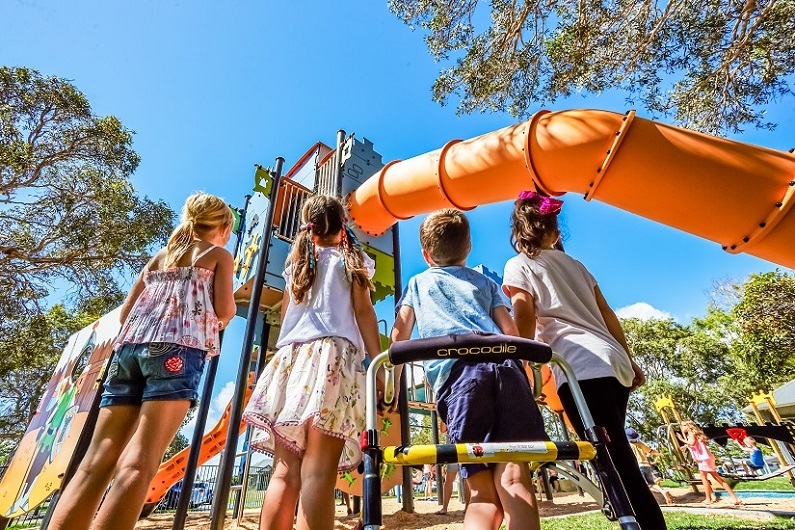 Inclusive design features such as the large handles and large seating surface, along with a seating platform at wheelchair transfer height helps to ensure that everyone can play! 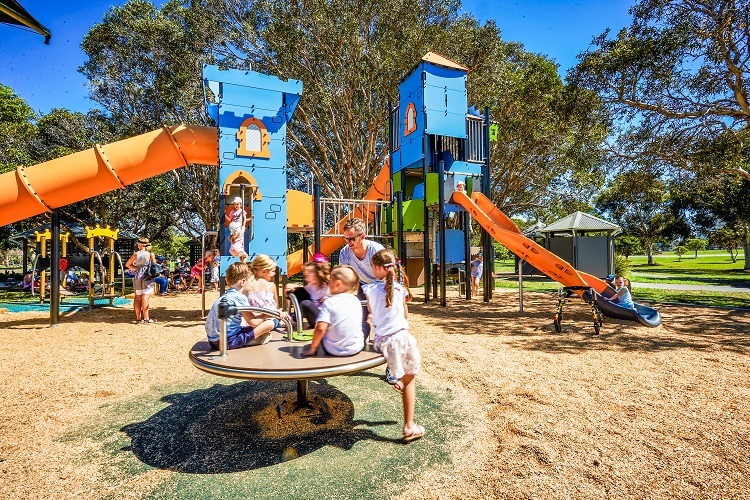 “Good communication, always kept updated through installation process. 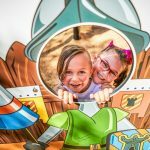 Good response time when we were chasing information. 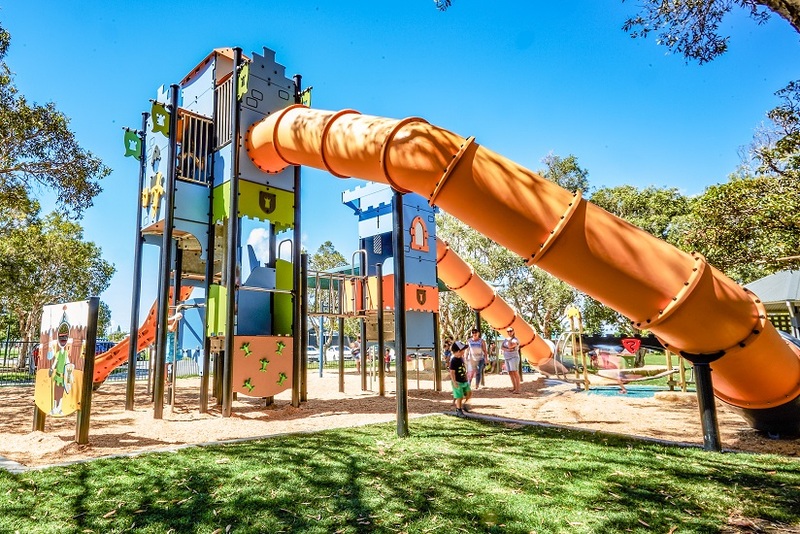 Overall very good and it was great to be involved with Proludic on their first Gold Coast project” Jon McIlveen, Parks Development Officer at City of Gold Coast.